On a recent trip to Disneyland (thanks to the generosity of my parents), we watched the “holiday” version of Disney’s World of Color in California Adventure. 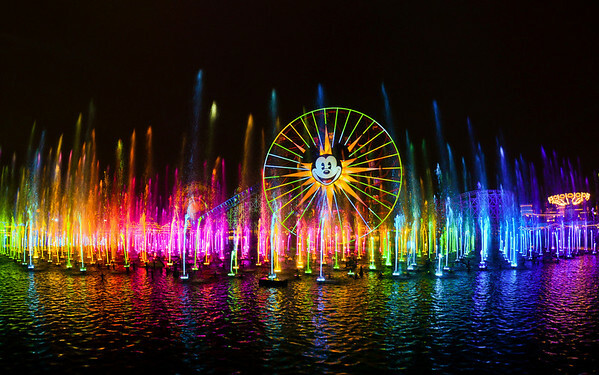 If you’ve never seen World of Color, it’s impressive. For half an hour, jets of water shoot across the lake in California Adventure, embellished with brilliant colors, projections of Disney characters, and accompanied by music. This Christmas song announces the hope that shapes our lives as Christians.But in Disney’s version, the song doesn’t get past the first four words. Over and over it repeats the words, “Joy to the world!” But nothing else is said. I don’t want to criticize Disney for not being Christian enough. They’ve never claimed to be speaking on behalf of the Christian faith (yet sometimes they actually have presented Christian truths explicitly). But I find their rendition of “Joy to the World” fascinating because it dips into a Christian hope without acknowledging the Christian basis for that hope. In the Christian story, joy is announced to the world. Why? Because the Lord, the King of all the earth, has come. This joy can be realized if we would all welcome this King, preparing room in our hearts, so to speak. In the Disney version, the phrase “joy to the world” becomes nothing more than a vague wish. There is no basis. There is no reason for joy. The song simply wishes joy to be spread to the world. What is a confident announcement of joy in the Christian tradition becomes nothing more than a fleeting sentiment in the secular world. I thoroughly enjoyed the show, and I’d recommend it to anyone who has a chance to see it. But let’s all remember that there are no substitutes for the joy announced to the world on Christmas Day. The secularists in our midst are indeed wishing for joy to the world, but we alone have a basis for announcing that joy—we have the answer they are looking for.